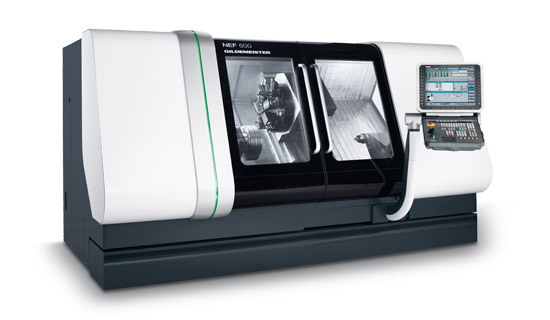 With its high-tech components, the NEF 600 offers the highest levels of efficient and precise turning even for beginners. NEF users benefit from high flexibility for parts manufacturing and maximum precision and dynamics in production. Numerous options mean that the machine can be individually configured for maximum productivity when making components where high drive power and torque are needed.